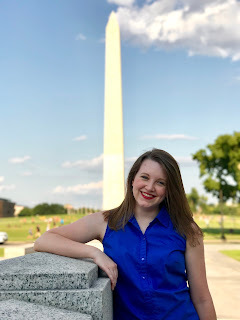 I’m usually in a mood for Downton Abbey, as is evident on this blog, but it’s at the forefront these days since the final season is currently airing. This post is partly for me because I want to share my fun finds with fellow Downton fans, but also partly for anyone who likes gift-giving and isn’t sure how to shop for that Downton Abbey obsessed friend in your life. They already have all the seasons on DVD, so what else is there to buy for them? Wonder no more. 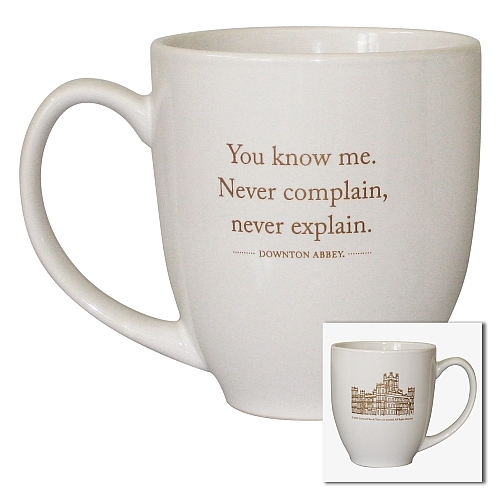 I hereby present every Downton lover’s dreams. 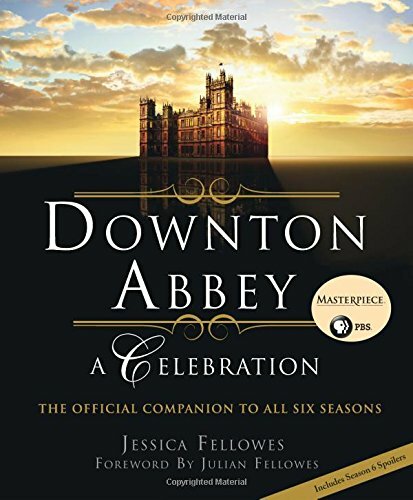 The official behind-the-scenes companion book to all six seasons of Downton Abbey. Author Jessica Fellowes is the niece of Downton’s creator and writer, Julian Fellowes, so obviously, she has an inside scoop like none other. This book is full of gorgeous photographs, interviews with the cast and creators, and thoughtful analyses on the many storylines now coming to a close. It’s sure to be of interest to any devoted Downton fan! I got it for Christmas and can’t wait to dig in. I haven’t yet only because it includes season 6 spoilers, so I’m waiting with bated breath. 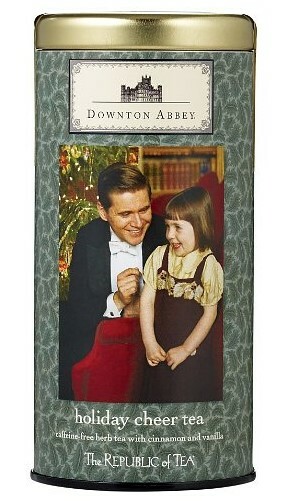 I mainly picked that one to show because I love that picture of Tom and little Sybil. Who wouldn’t, ya know? But there are abundant tea options of many flavors, and all of them have pretty pictures of the wonderful characters on the containers. Also compiled by Jessica Fellowes, this little book is a collection of the show’s best quotes. I can only imagine how difficult it was to choose which ones to include. 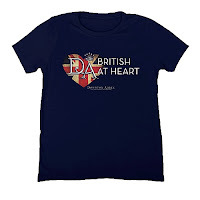 I’m hoping to get my hands on this soon so as to always have witty comebacks on hand for reference. And we all know that Maggie Smith is likely the most quoted one in it. 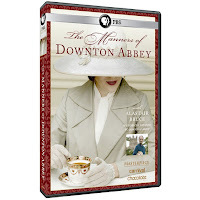 This one’s for the full-out nerd like me, and having watched it, I’ve quite often wanted to shove it at people who make comments that show their ignorance about the time period in which Downton Abbey is set. Okay, small rant over. But this is really so informative and fun to watch! The show’s historical advisor, Alastair Bruce, hosts and narrates it, and he guides you through all the customs, manners, and social expectations that were controlling forces in the times of families like the Crawleys. 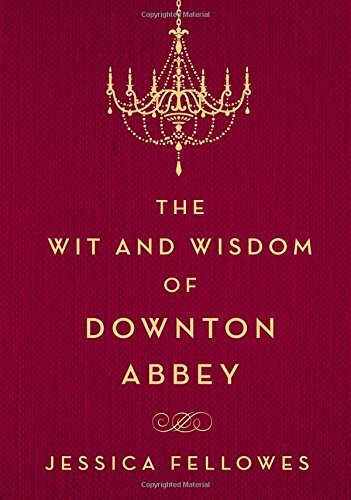 Food, table etiquette, servants’ duties, clothes, marriage, teatime, and everything else you could imagine is discussed, and Alastair Bruce is an engaging and charming host. Most of the ones at this page would do, really. This one’s just probably my favorite quote of the options available at it. 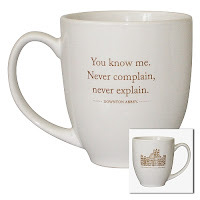 Again, many of the ones at this page would do, but this one particularly caught my eye because it’s really perfect for my feelings these days ;) I also have one that says “Keep Calm and Ring Carson to Bring Tea” that I thoroughly enjoy. 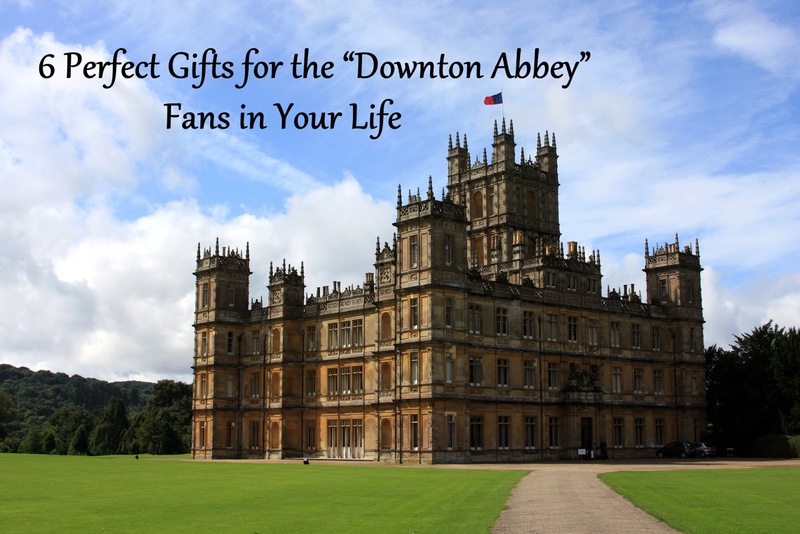 Happy gift-giving and Downton watching! It's only Monday and I'm already ready for Sunday and the next episode. 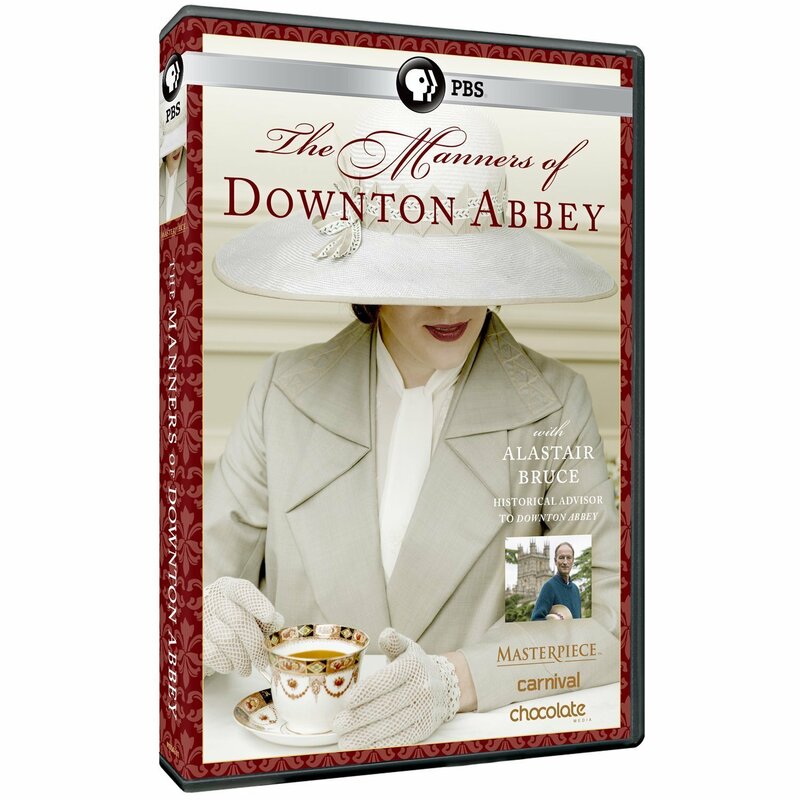 I just ordered Downton Abbey:A Celebration. It seemed to be at a reduced price on Amazon. So many books, so little time! Awesome! I can't wait to get totally lost in it once this season's over!